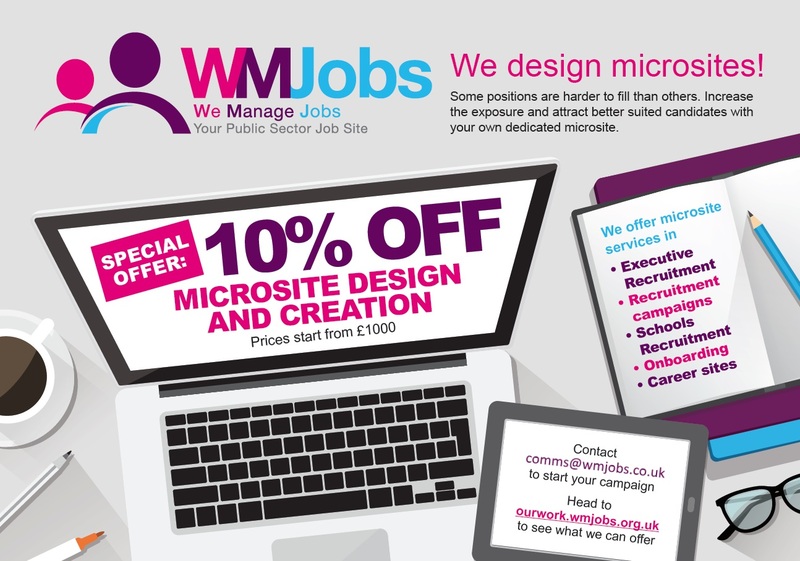 WMJobs 1 year on – Where has the time gone? September 11, 2017 Michelle Harte WMJobs News Comments Off on WMJobs 1 year on – Where has the time gone? Who can believe it’s already been a year since we launched the new WMJobs website? It’s been a brilliant year for us, so we decided to celebrate our anniversary in style. Thank you to Dudley, Warwick District and Walsall Councils who contributed fabulous content towards our anniversary – it’s always a pleasure to work with our subscribers and get them involved in our activities. Our anniversary activity included sharing short videos on social media. The WMJobs team and subscribers recorded short videos to wish us a happy anniversary. The films went down a storm on Twitter, Facebook and LinkedIn with high engagement from our followers. We also ran our third Get Interview Ready competition giving entrants a chance to win £100 to buy interview clothes. With over 1,500 entrants across facebook and twitter, our competition was successful in raising awareness of the WMJobs brand as well as painting us as a jobs board who cares about its candidates. On the recruiter side of things, we wanted to say thank you to our subscribers and paygo customers for helping to make the last year such a success. We ran our anniversary sale for one month to help budgets go further and adverts stand out. This offer was snapped up by various organisations keen to utilise the enhancements that we offer. Our comms team also issued a press release across our websites and social media channels which you can read here. It echoes how positive the last year has been and what a difference the new Madgex platform has made to jobseekers and recruiters alike. The last year has been a record year for WMJobs and we have created a short wideo recognising our efforts – please feel free to share it across your networks. All in all it’s been a fantastic year, and we can’t wait to see what the next one brings. Next Post: Dudley MBC move with the times with their apprenticeship recruitment.